Georges Laraque first confirmed Veg Fest ’11 speaker! The NCVA is very pleased to announce that we have confirmed our first guest speaker for Veg Fest ’11: former NHL player and passionate vegan, Georges Laraque! Georges Laraque is a former NHL hockey player, narrator of the french version of the film Earthlings, co-owner of Montreal raw vegan restaurant Crudessence, and deputy leader of the Green Party of Canada. Since becoming vegan on June 1, 2009, he has been a passionate defender of animals and promoter of the vegan lifestyle. Georges was born in Montreal to parents of Haitian origin, and his hockey career included stints with the Edmonton Oilers, Phoenix Coyotes, Pittsburgh Penguins, and Montreal Canadiens. While he was known as one of hockey’s toughest players, his caring and concern for the plight of animals who are used and abused by humans demonstrates his true gentle nature. Georges also marched with the NCVA and Green Party during Ottawa’s Capital Pride Parade in September 2010, and appeared as a competitor on CBC’s Battle of the Blades. 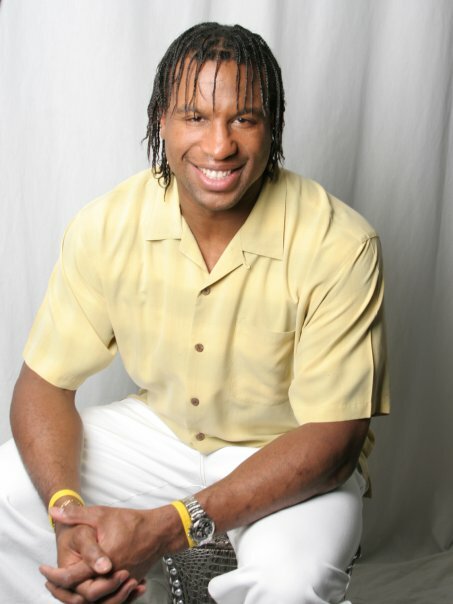 For more about Georges, visit his Web site, www.georgeslaraque.com. Veg Fest ’11 is coming on May 1, 2011. For more information, please visit ncva.ca/activities/ottawa-veg-fest-11/.